Future Fighting Championships is only on its third event, but the lineup for this show is surprisingly stacked with prospects. Among these prospects, Elves Brenner Oliveira is the only one who remains perfect in his pro career. The undefeated featherweight upstart puts that unblemished record on the line when he meets Denis Silva. Oliveira has spent the last three years bouncing around the Brazilian regional circuit. He has made regular stops in the Amazon Talent and Mr. Cage organizations. 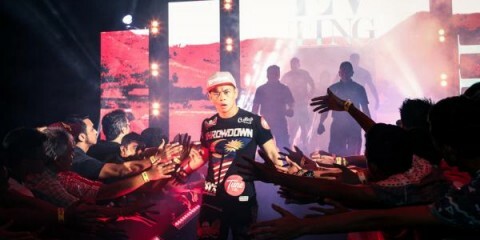 Along the way, the Melvin Revilla disciple has collected seven submission victories and one knockout finish. Many of his early opponents were equally inexperienced, but he has recently seen an uptick in his level of competition. 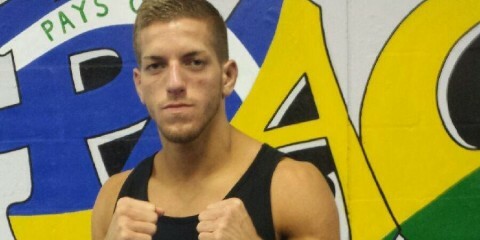 He handed out the first pro loss to Alan Soares, who entered their bout with seven victories. He then added 10-fight veteran Joaquim Polônia and 31-fight vet Carlos Eduardo de Azevedo to his resume. In his most recent outing, Oliveira submitted Luan Anderson, who had eight victories through 10 previous bouts. The 24-year-old Silva always seems to stumble just as he gets some momentum going. “Alagoas” debuted in 2013 and won his first two fights, but he ran into trouble when he met Ismael Bonfim. 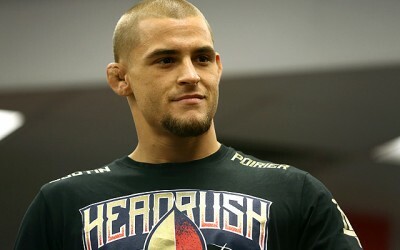 He recovered to the tune of seven wins, but then dropped a unanimous decision to Rodrigo Praia. After sparking another winning streak that spanned three fights, he was knocked out by Abdul-Rakhman Temirov. 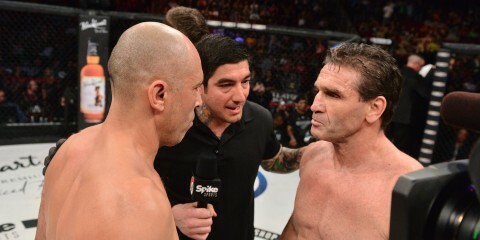 Silva rebounded again with a close decision win over Edward Walls. Silva has a great winning percentage, but his level of competition leaves a lot to be desired. He holds victories over opponents with 8-3, 6-1 and 7-1 marks, but he also recently fought and defeated a rookie to pad his record. When it comes to the best fighters he has met, the results are far different. Bonfim was a modest 4-2 when the pair met, but he’s gone on to post a 12-3 career mark. Praia was 10-2 at the time of his fight with Silva, and he now sits at 13-3. Temirov was already a solid 10-3 prospect, and he’s now 12-3. Oliveira is likely to slot into the same tier as Bonfim, Praia and Temirov. The only question is whether he can lock in a submission against a fellow grappler who has never been tapped before in an MMA fight. This has the potential to turn into a fun grappling match. Both men have secured the majority of their victories via submission, and Oliveira even has four first-round stoppages on the mat. Silva, thanks to a longer history at the pro level, trails Oliveira by just one submission victory, and he has three first-round tapouts to his credit. If these two tangle on the ground, fans should witness some big scrambles and submission attempts. Given Oliveira’s resume, he has to be the favorite to score the win. The 62nd event from Legacy Fighting Alliance features a bantamweight title affair, but it’s no longer for the undisputed crown. Miles John, the reigning champ, withdrew from his scheduled fight with challenger Vincent Cachero. 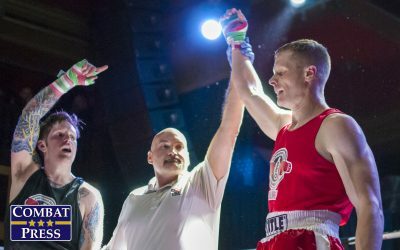 The LFA opted to keep Cachero in the headliner and add interim flyweight titleholder Casey Kenney to the mix. Now, Cachero and Kenney will clash for the interim belt at 135 pounds. Kenney has one more loss on his record than Cachero, but he’s arguably the more well-known fighter entering this affair. The 28-year-old debuted in late 2014 and landed inside the Tachi Palace Fights cage by his third outing. He marched through three opponents while scoring the finish in each fight. This punched his ticket to a Tachi flyweight showdown against Alvin Cacdac. Kenney submitted Cacdac in the first round to claim the belt, but he never defended it. Instead, he transitioned to the LFA and fought to a draw with Bruno Silva. His next two fights — a win over Cee Jay Hamilton and a loss to Adam Antolin — took place on Dana White’s Tuesday Night Contender Series. 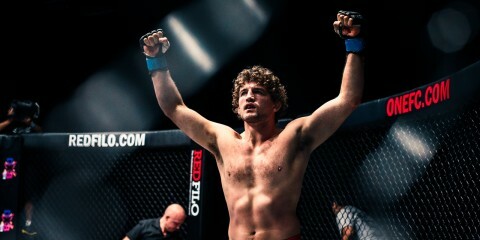 Kenney returned to the LFA and captured decision victories over Kendrick Latchman and Roman Salazar. 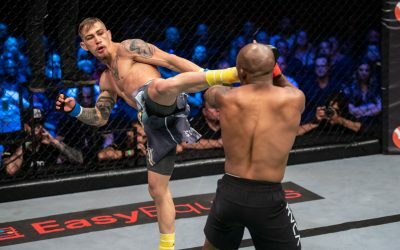 Despite making only one flyweight appearance through his first three LFA bouts, Kenney was thrust into the spotlight in an interim flyweight championship contest at the organization’s 53rd show. He decisioned Brandon Royval to claim the title. Cachero followed a 4-1 ammy mark with a TKO victory in his 2017 pro debut. “The Anomaly” made his sophomore appearance with the LFA. He submitted Arnold Jimenez in that affair, but jumped back to California Xtreme Fighting for his third professional contest. After squeaking by Ryan Lilley, Cachero returned to the LFA, where he has remained ever since. 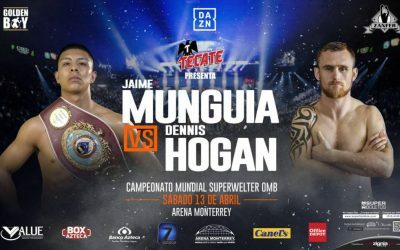 The 29-year-old’s 2018 campaign included victories over solid prospects Nohelin Hernandez, Carlos Puente Jr. and Joe Murphy. 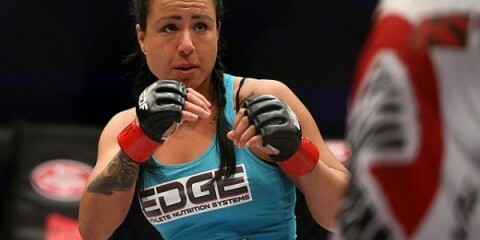 Cachero carries a lot of confidence to the cage, but confidence won’t be enough to beat Kenney. The former Tachi champ has his sights set on the bantamweight division now that the UFC appears set on ignoring the flyweight division. Kenney has a proven track record thanks to his victories over 29-fight veteran Cacdac, 15-fight vet Hamilton and World Series of Fighting alum Royval. Cachero has had a strong run as well, but none of his opponents quite stack up to this group. Kenney’s only loss came in a very close fight against an opponent who performed decently in The Ultimate Fighter house and also held Tachi gold at one point in his career. Despite his history in the flyweight division, Kenney isn’t giving up size either. Cachero will make this a very competitive fight, but Kenney will do enough to convince the judges that he deserves the victory. 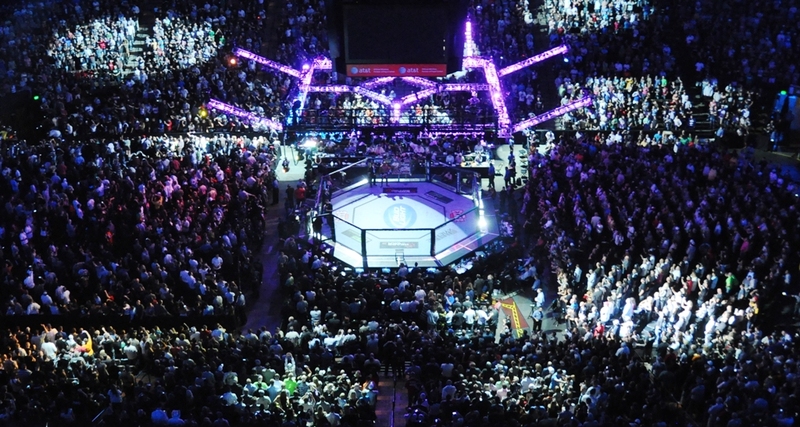 Poland’s Konfrontacja Sztuk Walki, better known as KSW, has grown into the top European promotion. 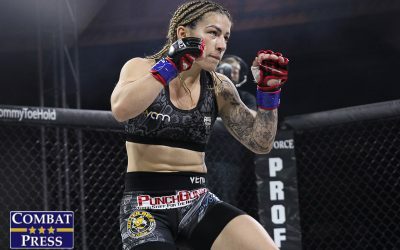 Its 47th event features a number of homegrown talents mixed in with UFC veterans Phil De Fries and Norman Parke, plus former Olympian Satoshi Ishii. The heavyweight division is heavily featured in this lineup, with a potential title eliminator between Ishii and Fernando Rodrigues Jr. joining the featured title tilt between De Fries and Tomasz Narkun. De Fries was something of a surprise winner of the belt when he crushed Michał Andryszak at KSW 43. Even more shockingly, he defended the crown against Karol Bedorf with a keylock submission at KSW 45. It’s an uncharacteristic turn for the Brit, who had previously stumbled through a rough stay in the UFC and a 3-3 stint immediately after his departure from the organization. 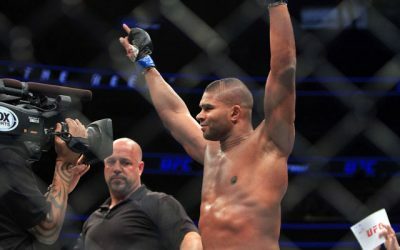 The 32-year-old came up short against Stipe Miocic, Todd Duffee, Matt Mitrione, the aforementioned Ishii and Ivan Shtyrkov. In an even more glaring loss, De Fries was finished in just 61 seconds by a sub-.500 fighter in late 2015, although he did avenge the loss with a first-round stoppage of his own in their rematch. The big man has a Brazilian Jiu-Jitsu background and an impressive 12 submission victories. 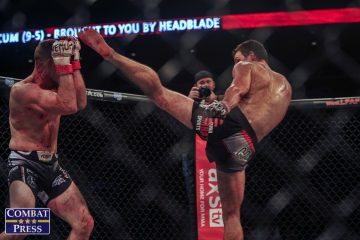 The 29-year-old Narkun hails from Poland, but his rise in the MMA world began with the M-1 Challenge promotion. His stay with the Russian company included a failed bid for the light heavyweight title. He joined KSW in 2014 and won two of his first three fights. His fourth KSW contest was a rematch with Goran Reljić, who was responsible for that single KSW defeat. 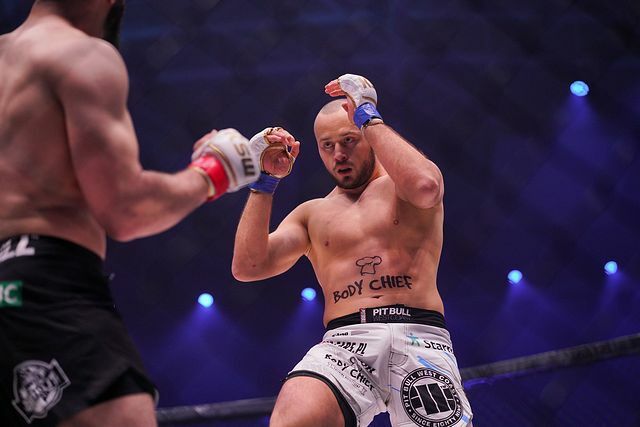 Narkun defeated Reljić to claim the Polish company’s light heavyweight title. He defended the belt three times, but then took a tangent for two catchweight contests with fellow KSW star Mamed Khalidov. Narkun won both fights, thereby solidifying his reputation as a top European fighter. This fight marks his first foray into the heavyweight division. Narkun’s biggest struggle in this fight will be in overcoming the size advantage held by De Fries. The Brit is only an inch taller and only holds an approximate two-inch reach edge over Narkun, but he tips the scales near the 265-pound limit for heavyweights. Narkun, on the other hand, has come in under 205 pounds for his fights with Khalidov and typically sits the the light-heavyweight limit. De Fries could use all that heft to stifle Narkun in the clinch and smother him on the mat. Narkun is a black belt in BJJ and has logged 12 submission finishes of his own. The Berserker’s Team product has minimal power, but three knockouts is not too shabby for a ground specialist. De Fries has a questionable chin, and Narkun could capitalize on this weakness from the Brit. Another notable detail is that neither of these men have ever been submitted. If this does go to the canvas, it could turn into a chess match that ends on the scorecards. Despite the recent resurgence by De Fries, this is still an inconsistent fighter who is set to meet a far more steady talent. Narkun has come a long way since his losses to Vyacheslav Vasilevskiy and the aforementioned Reljić. He proved that his first win over Khalidov was no fluke when he beat him in an immediate rematch. The move to heavyweight is a risky one, but Narkun might just have what it takes to score the decision over De Fries and become a two-division champion for the promotion.